Are your children signing up for the science fair this year? 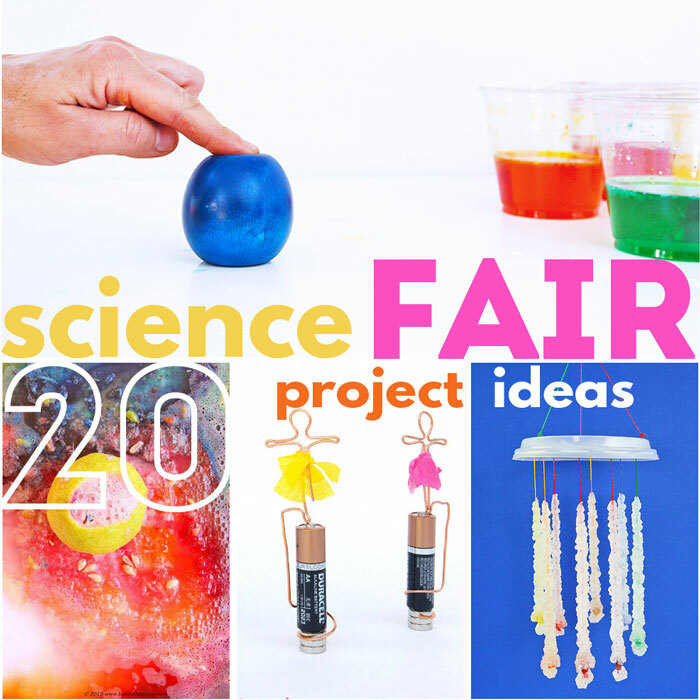 Have you begun the arduous task of looking for science fair projects that might pique your child’s interest? Or do you have a child who already has ten ideas they have been dying to try? The science fair is a great school tradition and a memorable experience for many children (I still remember the life size plaster penguin I made in 5th grade), and if your school doesn’t conduct one, consider starting it! This year if you are on the lookout for science fair projects I challenge you to think beyond the vinegar volcano (we have “Volcano Alley” at our school because there are so many volcano projects every year). I know, vinegar volcanoes are like a rite of childhood passage, but there are so many other amazing science ideas out there! 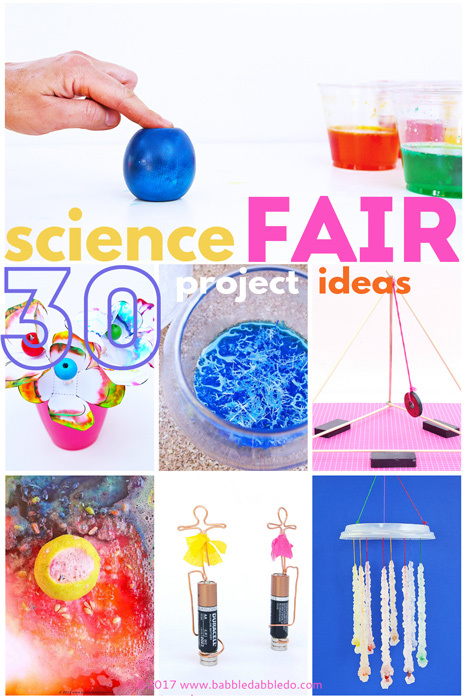 I have compiled a list of 30+ science fair projects for kids based on their grade level below. 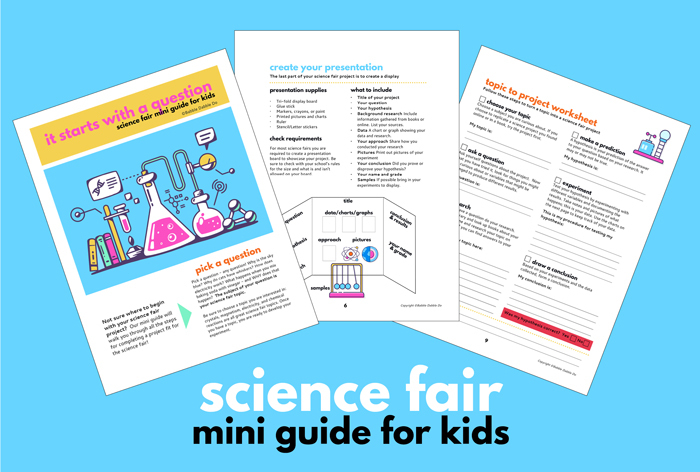 Before we get started I wanted to share some tips for getting the most out of the science fair. Don’t do the project for your child! This is my number one tip. Many parents have a tendency to jump in and make children’s work “more presentable” or to assist their child so much in the project that it’s hard to know who actually did it. Listen I get it, science is fun and you want your child to have a wonderful presentation…but that’s not really what the science fair is about. It’s about your child learning how to do scientific research and present their findings in their own way. Think of yourself as a helpful guide NOT an assistant, and definitely not the boss. Choose something age appropriate When your child is choosing the science fair idea they want to try, make sure it’s age appropriate. Sure we’d all love to make a working robot but there’s nothing more frustrating than trying a project that may be too advanced for the skills of your child. And that’s when a lot of parents resort to doing the project instead. Not a good solution. So make sure your child is capable of completing the steps them self. Make a list of three ideas Have your child select three project ideas and then go over the choices with them. Make sure they understand the steps involved in each project and wether or not they feel comfortable in executing those steps on their own with your guidance. Follow your child’s interests Encourage your children to explore some ideas based on interests they already have. Here’s a list of science books with projects based on things your child already loves! STEAM it up! STEAM projects rock the science fair!!! 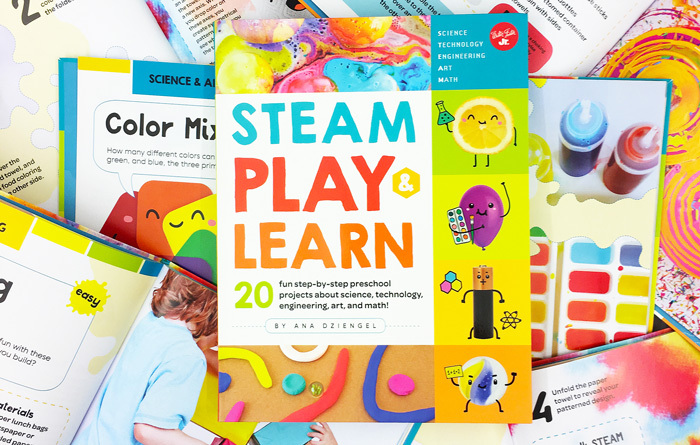 A great way to get kids to become more familiar with STEAM concepts it to pick science projects that crossover into art, math, engineering and more! 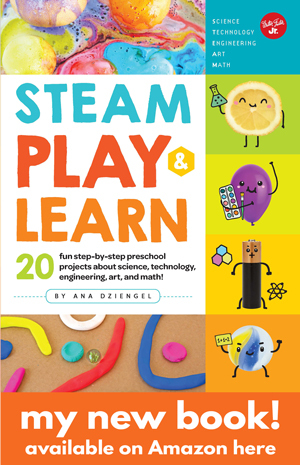 Two STEAM books to consider are STEAM Kids Play and Learn (my book!) 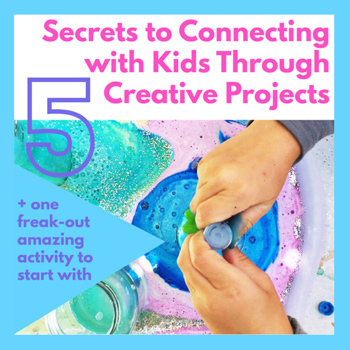 and STEAM Kids ebook will get you started with some great ideas! Now let’s get on with the projects! I have organized the projects by age. Click the titles to be taken to the project instruction, unless the instructions follow below. Skip the vinegar volcano and try lemon juice! Learn about polymers while making DIY toy! A classic experiment that kids love is Shiny Pennies. Collect dirty tarnished pennies and have kids soak them for a minimum of 5 minutes in different acidic liquids. We used vinegar, salsa, lime juice, and lemon juice. After soaking, remove them from the solution and rinse in soapy water then compare which ones are shiniest. Take notes on which acid worked best to shine the pennies. 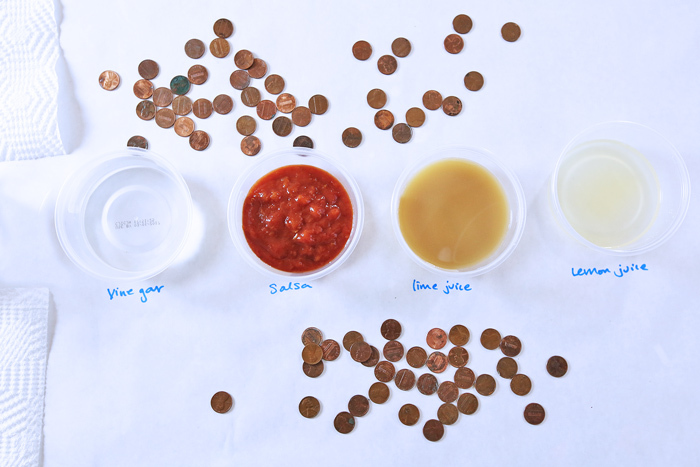 Variation: Don’t rinse all the pennies after removing them from the different liquids. Can you see a difference in the rinsed vs. non-rinsed pennies? Leave them overnight and see if any of the copper oxidizes (turns green) on the non-rinsed pennies. Did you know you can start an entire garden from vegetable scraps? It works indoors too! Make your own stethoscope from a few hardware store parts. For all tech centered kids: Learn how to make a very simple circuit from easy to find items. Learn how to separate colors in this science based craft! Why don’t oil and water mix? Find out with this density experiment inspired by Lava Lamps! Step One Place a raw egg carefully in a clear jar or cup. Step Two Pour enough vinegar in the cup to completely submerge the egg. Step Three Add in a few generous drops of food coloring and stir gently. To create Rainbow Rubber Eggs make a rubber egg for each color of the rainbow. Step Four Wait. Observe the egg each day. The vinegar will begin to dissolve the egg shell over the course of several days and as it dissolves it will begin to bubble. Step Five After about 3-5 days remove the egg from the vinegar and place it in a bowl of water. Gently rub away the shell to reveal the membrane that lies just below it. Step Six Bounce your egg…but not too hard! The egg will now be bouncy and rubbery but it is still raw on the inside. Press it and bounce to test just how rubbery it is but beware, it will still break! Make sure you break at least one to see what the egg looks like inside! You just can’t get rid of this physics project! Explore capillary action and absorption in this science meets art project. A teleidoscope is a kaliedoscpe without and end. This means you can use it to view anything and everything. Look through one of these and you will be amazed! Yes, you can layer liquids on top of each other without them mixing! Make a simple hanging magnet structure and explore the magic of magnetism. Another way to explore the separation of color and turn it into some scientific art! Learn what hydrophobic means by making a dry erase marker drawing move! Grow Epsom salt crystals overnight in your refrigerator. This will surely be a hit at the Science Fair! Watch metal particles dance and move under the influence of powerful magnets! It’s not magic, it’s polymers! A classic science experiment exploring buoyancy. Did you know you can make simple microscope from a plastic bottle and water? Learn about centrifugal force and friction with one of these three spinning tops ideas! Make you own moving sculpture while learning about cams and gears! A more advanced crystal growing experiment using bluing and salt but WOW, these are gorgeous! These are actually a very simple motor! Make a simple camera obscura out of an old coffee can. Click your slime chemistry up a notch by adding in thermochromic paint! Make a pen appear to levitate using a magnet! Borax crystals are SUPER easy to grow! Turn them into a lovely dangling wind catcher. Incredible display of electricity and magnetism! For kids interested in life science and biology, make a model of how our lungs work. Another one for biology oriented kids, explore how our joints move by creating an articulated hand. In this simple circuit project, kids will create an electrical circuit using salt to conduct electricity and power a light emitting diode (LED). Subscribe to our email list and you'll get instant access to our list of over 30 Science Fair Project ideas. 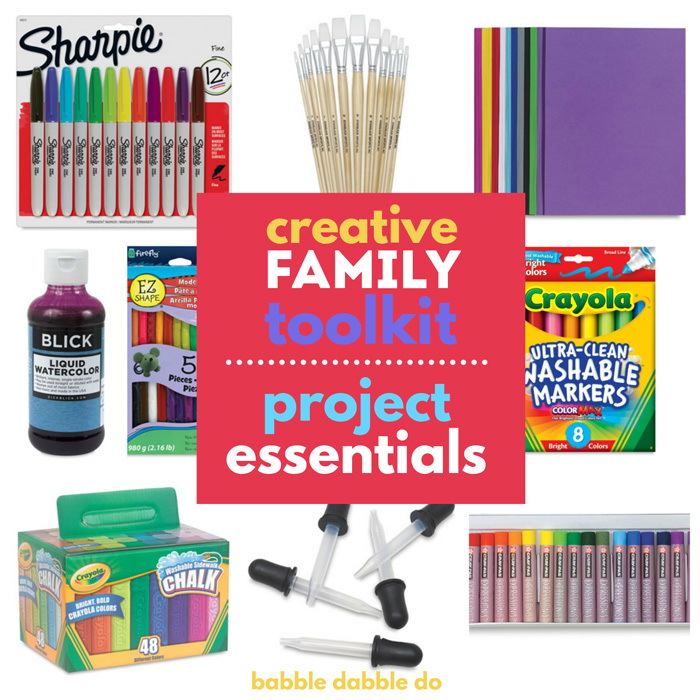 Along with this printable you will receive weekly emails from Babble Dabble Do with project ideas as well as offers for some our creative products. Look for the printable in a pop-up after you hit "enter." Subscribe to our email list and download the printable! Are you ready for the science fair? Whether your child has never participated in the science fair or is an old pro, I hope the science fair projects here will inspire them to have fun, explore science, and get creative the same time. And if you still need MORE ideas I also have a giant list of chemistry projects for kids that would make amazing science fair starter projects!